Before we get full blown into pitching drills, let’s start with some baseball throwing drills. Many of the pitching drills have limits to the amount of practice you can do and you have to always be careful with the amount of wear and tear there is on your arm. So let’s start off with some throwing drills that are kinder to your arm. What can be better than playing a little catch? I grew up playing catch with my dad. Then I would come home from college and we would again play some catch. Next, I played catch with my sons. I would come home from work and within ten minutes we would be playing catch. Now I play catch with my grandsons. 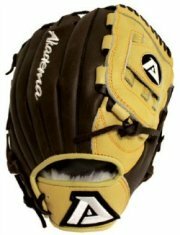 Playing catch is something most people enjoy, and it is a great time for some idle talk. So tossing around the old hard ball can be a social function. It is a great way to connect with your mom or dad, your child or grandchild. Grab every chance you have to play catch, because as we get older, the chances come along less often. But we want to talk about playing catch with the intent of improving our playing abilities. During these baseball throwing drills we want to concentrate on our throwing techniques. First, I need to tell you before you start throwing be sure and stretch. Unless it is cold outside, ten minutes of stretching should be enough. Then take a jog to the outfield fence and back. You should now be ready to do some throwing. The first and easiest baseball throwing drill to do is throwing while kneeling on one knee. The two players should start about 15 to 20 feet apart. Right hand throwers kneel on their right knee and lefties on their left knee. This drill has the players concentrating on throwing the baseball properly. The throwing hand should go straight back past the head, the elbow moves forward, and then the arm comes down and the wrist snaps as the baseball is released. If you are observing this drill, watch for flaws in the throwing techniques. Kneeling eliminates the foot work and keeps the focus on the arm action. One throwing flaw that happens often with young players is not bending the wrist at the end of the throw. The wrist action has a lot to do with the accuracy of a throw. Make sure the players are not making their throws with a stiff wrist. If you or your son has no one to play catch with, then get a tennis ball and find a wall where you or your son can bounce the ball off the wall. Make sure you are not damaging the wall, and then kneel a comfortable distance away. This drill is also good for working on your accuracy. You are trying to hit the wall so the tennis ball bounces back to you. I wore out many a tennis ball when I was young. 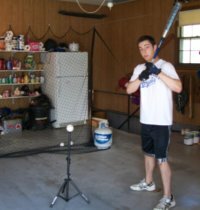 The above baseball throwing drill is good for beginner and intermediate level players. If your players are at the very beginning level, you could start with this drill, but probably not. 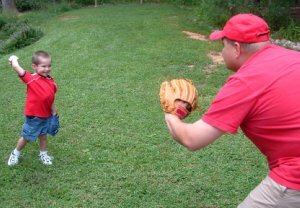 The typical first throwing drill people try is playing catch. 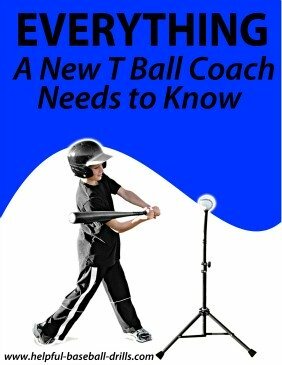 And right off the bat you learn that most kids, who have never played catch before, have some idea about the arm motion, but no idea about the foot work or body motion involved. First, you will have to teach them to step straight towards the person they are throwing to. And you will have to tell them to step with their non-throwing leg (right hand throwers step with their left leg, lefties with their right leg). Once they get that down things starts to progress much more quickly. They will just need to play as much catch as they can. OK, back to more advanced players. Another one of the great baseball throwing drills is the “point game”. Here, two boys playing catch stand anywhere from thirty feet to hundred feet apart, depending on their age. This throwing drill is all about accuracy. A throw at the other player’s head (within about six inches) is worth 3 points. A throw at the other player's chest (from neck to waist line) is worth 1 point. Any throw that is below the knees or above the head is a 1 point deduct. And any throw that hits the ground or goes over the head of the other player is a 3 point deduct. 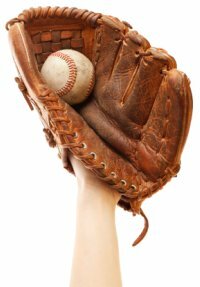 Baseball Throwing Drills - Part 2 has two baseball throwing drills that involve a whole team being paired up and playing catch as they would before a game.